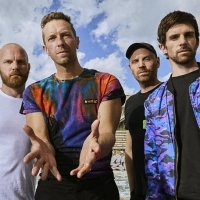 Coldplay are a London-based (though formerly from Devon) multi award-winning multi-platinum alt-rock band formed in 1997 and comprised of Chris Martin (vocals, guitar and keyboards), Guy Berryman (bass), Will Champion (drums) and Jonny Buckland (lead guitar). Their debut EP 'Safety' was released in 1998, ahead of a succession of best-selling worldwide hit albums including "Parachutes", "A Rush Of Blood To The Head", "X&Y", "Mylo Xyloto", "Ghost Stories" and "A Head Full Of Dreams". They have won seven Grammies, nine Brits and six Q Awards amongst many others.